שלום וברכה– Moshe Asher writing. I'm trying to find a likutei halachos where r' nossan talks about the free masons being the biggest r'shaim. I think he refers to them as פ''ם anybody have a clue where it is? 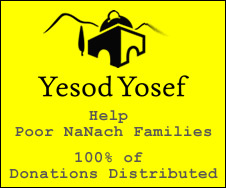 Yossi Na Nach showed it to me originally. Don't know if he posts here, but if someone bumps into him, you could ask him, it's worth seeing it inside, anyway. a sweet and beautiful year to everyone. if you have Likutay Halachos on Biraishis, then look by the Parsha of the Tower of Babel, it's brought down over there. I don't have it. I don't even have the blue one with the mafteichos. Does it say in your likutei halachos on breishis, where it could be found on the shulchan aruch? just looked it up for you, it's in Hilchos Beis Hakneses, but where exactly I don't remember.